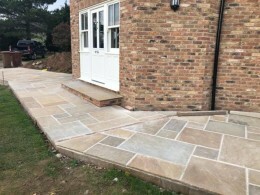 A beautiful contemporary style of paving, Silver speckled granite is a premium grade paving that is both stunning aesthetically and yet one of the hardest wearing stones on the market today. * Top Quality diamond sawn edges & with a calibrated thickness of 25mm. * Free Delivery available with Hiab offload up to 40 mile radius. 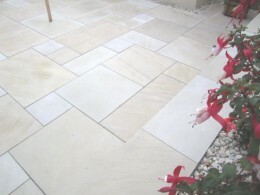 Plus small setts 100x100mm which can either be used for borders or incorporated into the patio, or used with another type of paving to create a contrast. *Pack coverage 15 square metres approximate.